ISEN supports International #Emerging Proud; a campaign aimed at ending the stigma of challenging transformative experiences, in order to ‘Rethink madness’. ISEN was established to act as a ‘collaboration magnet’ to the incredible support networks that offer vital support to people in crisis around the world. These organisations often operate in isolation and, over the last year or so, it has become very evident what benefits are to be gained through coming together to share ideas, resources, wisdom and to provide mutual support for each other. This is why ISEN is happy to support #Emerging Proud; with the aim to act as a bridging campaign for all organisations who wish to see a positive transformation in mental health services. 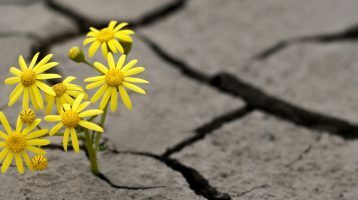 A campaign that considers the old paradigm of mental distress as an incurable illness as outdated and recognises the need to evolve into a more positive message of recovery and hope; and that these extremely challenging experiences can actually be a catalyst for positive growth if framed that way. ISEN aims to support the collaboration of organisations supporting people through challenging transformation processes in exactly this way, and supports the message of the campaign that there is deep meaning and wisdom in psychological trauma. The day will provide an opportunity for collaboration and bridging between organisations and individuals at an international level; with Open Space discussions and grassroots initiatives for change being born in 8 locations all around the world. These Open Spaces will provide the opportunity to harness the passion and wisdom of those who have been affected by trauma and who have emerged through the experience stronger and with a desire to create change. The International harvest gleaned from the day will produce a report on the collective action points from around the globe to be shared with everyone attending in every country, and ISEN is committed to ensuring that those action points are carried through. Our hope is that many people will not only benefit from being part of the day, but may leave being part of something bigger that is set to grow. The ISEN team, (Katie, Rozalia, Matthew and Ali), look forward to seeing you in London for the International Launch of #Emerging Proud on the 12th May 2017 to see what exciting developments the Universe has in store for us all to unfold! We at ISEN wanted to send our best wishes for a wonderful 2017, full of collaborative dreams manifesting! 2016 has been an eventful year for us, and despite being quiet on the surface, we wanted to let you know what has been happening behind the scenes, and also let you know some of our plans for the coming year. Creating a solid foundation for the organisation. We believe that it’s worth making a lot of effort to create a not-for-profit organisation with a solid team who are all focused on the same mission and working ethos. Hence we have been holding regular meetings with our SEN Reps and some others in the process of creating new SEN’s in order to create a strong bond that should carry us through whatever issues we may face along the way together. It has been a learning curve and heart- warming for all of us to really start to live the TEAL organisational model. There is also preliminary interest for SEN’s in the Czech Republic, Ireland, Uganda and also Russia too…we are hoping that they will continue to emerge. We recognise that one of the most important things that we need to be aware of in this field of supporting people who are going through a vulnerable transformation process is safeguarding, and so we have been meticulously working with some of our SEN Reps on developing Ethical Standards and procedures to deal with any conflicts of interest. We are extremely grateful to the Reps who have generously given their time and expertise to assist with this lengthy process. We are pleased with the team result and the document are now available here. Setting up a collaborative online workspace for transparent sharing both within ISEN and between the world SEN’s. We are using Podio as a platform for this and are hugely grateful to Matthew Gorner, our Technical Lead, for his dedication in setting this up for us. We feel that it will really assist in enabling more streamlined communication for us all, including resource and skill sharing. 2017 will see some big changes for us as an organisation. Our first plan is to register as an autonomous Charity in Guernsey, the British Channel Island. The decision about this has been carefully made as we were so impressed by the THRIVE2020 vision of the island, (to make it the best place to live in the world by the year 2020), that we feel it offers the best possible home for ISEN to be an integral part of creating a best practice model for a political system, including education and health. ISEN will be officially based at the Psychiatric Hospital on the island; the first country in the world to have the SEN integrated with mainstream Psychiatry. This is a very exciting development for us and we are hugely grateful to the Guernsey community for their warm welcome! 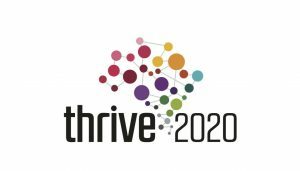 Our official registration launch is provisionally planned for 25th Feb, 2017 in Guernsey. 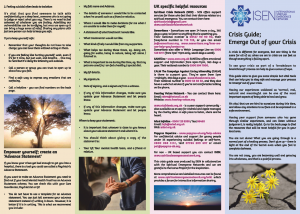 Our first big project will be the production of a crisis guide; a collaborative resource for people going through the spiritual emergence process created by all of the SEN’s and experiencers together. We will be running a crowd funding campaign for this and aim to make the information available in as many languages as possible. Finally, we aim to have a much more public profile in the coming year, raising awareness and increasing the support provisions available for people globally. We are grateful for your support and collaboration received so far, and for how our journeys may overlap further as they unfold. Wishing you a prosperous and positively transformative New Year! In times like these, we need another way. Right now, there seems to be a huge increase in fear and hatred in the world, with terrible fragmentation emerging. Each day, we are greeted by deeply troubling news. And could there be another way? For more than fifty years, Dr. Stanislav Grof, one of the pioneers of psychedelic research, has been developing powerful tools to help people find profound new insights. He has demonstrated that deep, inner work can cause healing that is far beyond what is normally thought possible. He has demonstrated how this can also promote understanding between diverse groups and yield important insights into collective crises. Stan’s work has also inspired many other positive initiatives, including new forms of treatment for veterans suffering from PTSD, compassionate care for people in spiritual crisis, and renewed interest in indigenous healing techniques. His work has also transformed the way we think about giving birth and even the way we approach dying. And his work sheds new light on the root causes of violence. There are many other people who are not yet familiar with Stan’s ideas and work. So we ask you to to share this message with people you know–people who are suffering, people who are worried about our world, people who are looking for a new way. Despite all the discouraging news these days, we believe there are many people who are hungry for a new way to heal divisions, reduce violence, and find deeper meaning and hope. Stan’s vision is still one of the most radical, provocative, profound, and hopeful ones available. We hope that you will share this message widely and tune in to his message on Saturday.